Extends your Diablo 3 Bnet profile. 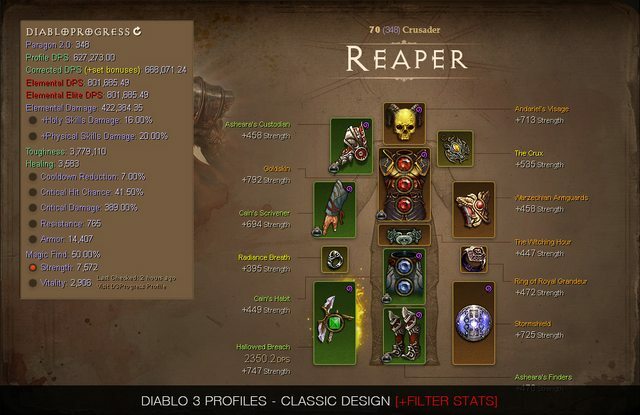 This Greasemonkey/Tampermonkey script adds a widget box to the Diablo 3 Battle.net profiles and loads additional data from DiabloProgress.com if available. This script doesn't affect any game or RAM data! The script also sends a POST request for updating the profile on DiabloProgress automatically. 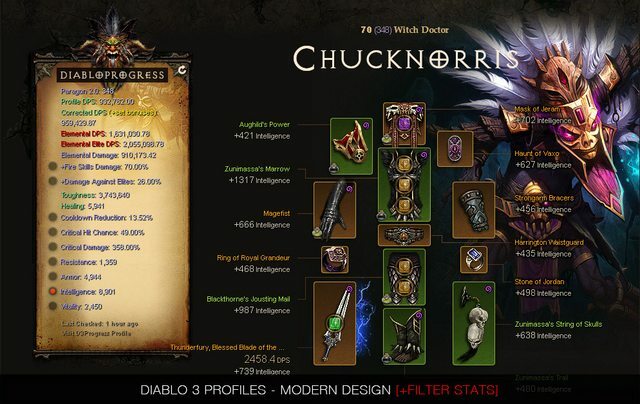 You can browse easily through Diablo 3 profiles watching elemental damage, elite damage and more. The script is NOT accessing any game data or reading the game's memory. 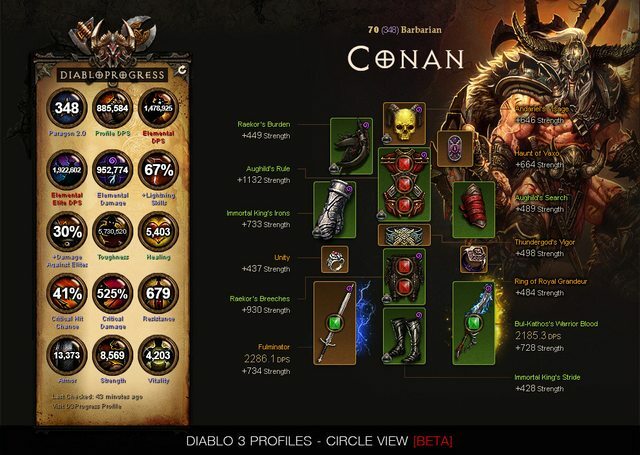 The script only fetches data from DiabloProgress or from the Diablo 3 Homepage itself. The remote scripts are running on a german server. The script is open source and can also be run on your own server/webspace if it supports https.